Hello there! I am Alex and I am your tour guide on your visit to Kiev city. I was born and bred in this beautiful city. Well, it is since the birth that I have been living here. So it means so much to me and to you the enthusiastic traveller who comes here to make much of your visit for your valuable time and money. Alex knowledge about the city is awakening and virtually perfect and am able to guide you to its central and unique attractions and places, all places of sightseeing and walking paths. These places have great attractions and you the visitors will be able to satisfy your whims and fancies to your entire fulfillment. This I, assure you for I know the city inside out. Let me tell you a bit about my early age. I was born in former USSR time and its memories are resounding in me. But I do recall time to time that unique past because it was actually interesting. My school was called 309 which was a little School. There really was nothing much but school life. Yeah, It was an interesting time. My favourite colours are beige, pink, white, black and jeans colour. I am into many activities including sports, yoga, traveling, snowboarding, using the gym and listening to the latest music and my favourite is RNB, also, good dance club music when I’m out. I am also fond of kids, animals, especially dogs, pandas, and dolphins. To tell you the truth I dream of making my own kids one day. How about fruits? Yeah, I really, really like mangoes and passion fruit. Types of drinks – There … It sounds how selective I am when it comes to talking about my taste … oh yes, I like fresh mango, passion-fruit, and pineapple drinks. Mmm … yes, also some Cocktails & mocktail Martini Asti too but not every day you know. I have traveled to many cities in Turkey. Cypress, Lebanon, Goa India and Egypt are some of them. If you asked me, which was my favorite out of this list I’d have to say, unreservedly, that all of them won my heart and taste and I liked them all like mad. Let me tell you more about myself… After school, I entered university. My university was an academy of statistics, accounting, and auditing. I am an economist and got myself involved in a job soon after I finished my studies. The job was so boring that I got fed up soon. Having to get up early and to stay sitting down till late evening and its inaction made it so boring a job. I am a person who likes people. I possess characteristics that are essential for a tour guide. I am friendly and easy going and can understand other cultures and customs. My love for being active and move about rather than sit at a desk all day and work drove me towards choosing this profession. Now, I am confident that I am on the right path. I do what I like to do and I feel that I’m well happy about my lifestyle and the jobs right now. I, who am a LOCAL of Kiev who is really fond of Kiev because of its enchanting, dazzling nature and character filled with beauty, rich history and culture, is always at your service. So do count on me. 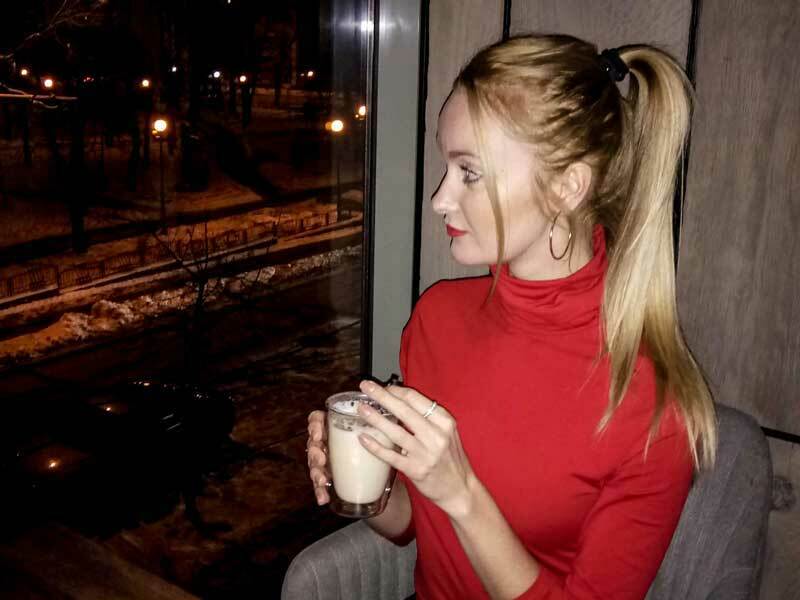 I am Alex your Tour Guide with a great passion and love for Kiev city and the best I can do for you, the enthusiastic traveler is showing you around the city to get the best of your visit. In fact, for me, every tour is a new journey and has a character of its own. My guests are who trust me for their guidance are also unique to me. I try my best to guide them to experience the best of sightseeing tours in Kiev. Directing them to the best tourist destinations, such as attractions, restaurants, museums and theatres and also to less known hidden spots of utter personal concern is my duty. Indeed, I guarantee 100% secrecy to guard your privacy on your visit. I can show you our country and historic landmarks guide you to our cultural events and guide you, like no other, to the nightlife fantasy of Kiev. I have shown you myself not only from my own personal point of view but from much of the feedback I have got from the travellers who enjoyed my guidance and who enjoyed their visit to the best of their satisfaction. Oh, yeah, to the best of their satisfaction and to the best value of money they spent on holiday in Ukraine. If ever you wanna contact me do not hesitate to contact Alex. I am at your service and I am ever so devoted to you. So come to Ukraine and seek my guidance to make much of your visit.